A collision is an unsettling event for everyone that is involved, including witnesses. Other drivers on the roads and bystanders in a car accident in Camden, South Carolina may see the incident happen in slow motion and destructive crashes are especially terrifying and demand immediate action from everyone at the scene. When a person is a witness to such an incident, one could save lives by remaining at the scene and calling for emergency services. In fact, dialing 911 is usually the first thing on a person’s mind at such a time, but there are other responsibilities that come with being a witness that one should remember should they see a crash. If a person witnesses a collision, and is also in a car, they should find a safe place to park their car until emergency services and law enforcement arrive to clear the wreckage. Witnesses should turn on their hazard lights and call for emergency services if no one else had made the call. If the witness is a pedestrian, they should keep a safe distance from the scene as the crash may have not completed and severe accidents carry the risk of fire. Without getting too close to the cars involved, dial 911 to get professional emergency personnel on site, and witnesses should avoid approaching victims as it risks making their injuries worse and may put the witness in a dangerous position. Even if the victims do not seem to be suffering serious injuries, they may well be suffering internal injuries. Moving a person with internal injuries could put them at great risk, so it is better to wait for the experts to get to the scene of the accident. If the witness is within speaking distance, they could try to console the victims and inform them that help is on its way. Not sure where to turn after a Camden car accident? Contact Connell Law Firm today! When police get to the scene of the car accident in Camden, South Carolina, they will want to take an accurate account of the incident. If the victims are seriously injured, they may be unable to make a statement at the time, and police will approach witnesses to gain an understanding of how the accident happened and establish the cause of the accident. Witnesses should try to remain calm as they retell the incident and try to remember every detail of how the event unfolded as they saw it. The testimony that a witness gives will be important should either victim of the collision pursue civil litigation. Witnesses to a South Carolina car crash should also keep in mind that they may have to speak not only with law enforcement officials, but also attorneys and insurance companies. It is usually a good idea for a you to write down the events in the order that you remember them as it does not take very long for such traumatic events to become jumbled up in one’s mind. A witness account may prove particularly helpful in resolving an accident victim’s personal injury case. What If It Was a Hit and Run? If a witness saw a hit and run incident, they should not attempt to confront the driver, as this may place the witness in danger should the driver become angry or violent. Rather, you should write down the driver’s license plate number if you are able to and call 911. If it is safe to do so, the witness can approach the victim once the hit and run driver has left the scene of the crash. Accident victims may want to have a friend or relative know what happened or come to the scene of the crash or even meet them at the hospital. The victims may also need to let their employers know where they are, or make arrangements for their children. Witnesses can offer to call someone on the victim’s behalf to let them know about the crash. Witnesses often have valuable information to share that may help injured victims who are fighting for compensations in a Camden car accident settlement or trial. If you have witnessed a car accident, try to cooperate with attorneys who may have questions about the incident. 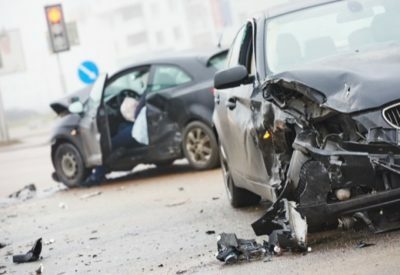 In South Carolina, the exact requirements to avoid leaving a collision tend to vary and depend on whether other drivers or witnesses are present at the scene of the crash. When there are one or more people present, the state requires that the driver stop right away at the scene or as close as possible. The stop must be made in a way that does not obstruct other traffic. Provide reasonable assistance to anyone hurt in the accident, such as offering to take the person to a hospital or a doctor, if applicable, or if the injured person requests to be taken for medical treatment. A witness could not have prevented the accident and is not in control of what happens with each victim’s recovery, but the steps a witness takes may be important and could just help those who were hurt due to another person’s negligence get the compensation they deserve for the costs they incurred due to the crash. Contact our Camden car accident attorneys today to discuss the way forward.